Founded in 3000 BC, the city of Jerusalem, being one of the oldest cities in the world, is considered to be the Holy City for Christianity, Judaism and Islam. Jerusalem is, let’s say the apple of discord in the Israeli-Palestine conflict, the two claiming Jerusalem as their state capital. Jerusalem has a population of about 850 000 people, a mixture between secular Jewish Israelis, Ultra-Ortodox Jews and Palestinians. A mixture that has existed since forever and that has given this city the personality and uniqueness it has today. As I mentioned before, the Old City of Jerusalem is a holy place for some of the biggest religions in the world. 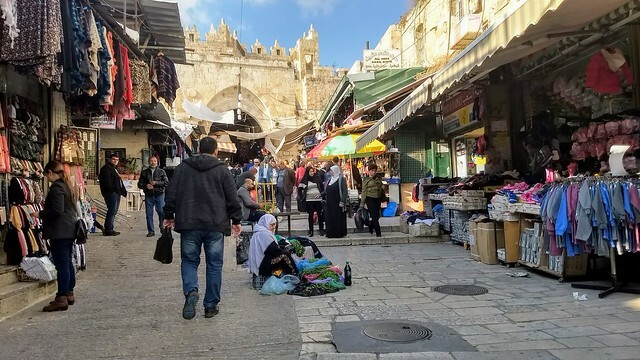 The Old City has a history that stretches back more than 3,000 years. The present street plan dates largely from Byzantine times, with the walls and ramparts dating back to the 16th century. The crossroad of three continents, Jerusalem has been one of the most fought over cities in human history. 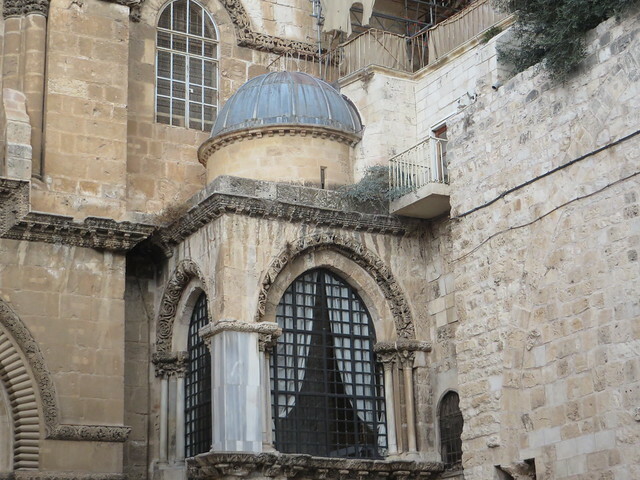 Within the walls, the Old City is divided into four vaguely defined quarters: Christian, Armenian, Jewish and Muslim. The Christian Quarter is the northwest quarter. 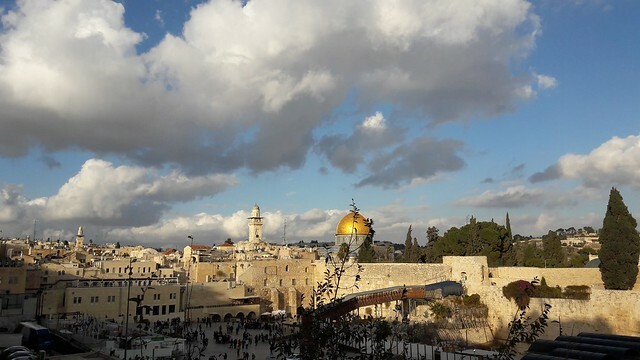 It contains the Holy Sepulchre, and shares the Damascus Gate (north side of City) with the Muslim Quarter and the Yafo Gate (west side of city) with the Armenian Quarter. The Armenian Quarter is also Christian, but distinctly Eastern Christianity; it is in the southwest corner of the Old City. An Armenian alliance with Jews dates back to Israel’s Hellenistic Era, but Jerusalem isn’t attested to have an area called an Armenian “quarter” until near The Crusades. It is the smallest quarter, but contains the Zion Gate, and south of this gate is the historic Mount Zion. 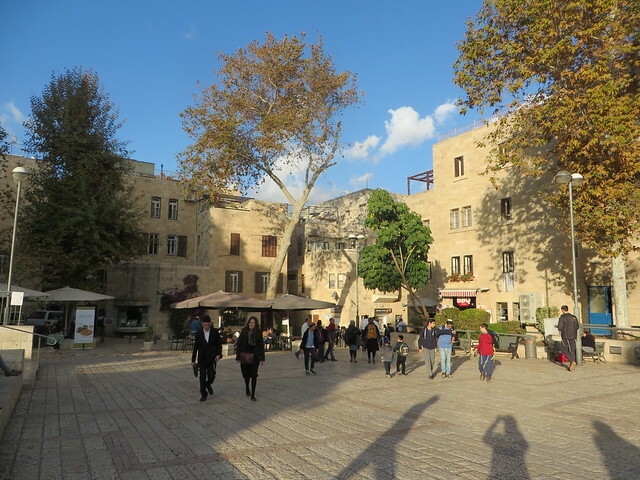 The Armenian Quarter contains the Tower of David, a late First Temple era fortification, and an Armenian Orthodox cathedral, monastery, and museum. The Jewish Quarter in the southeast of the Old City includes some relics dating from the First Temple era; their foundations are up to 25m below the current ground-elevation. Tanner’s Gate and Dung Gate lead south from the Jewish Quarter to the City of David which pre-dates the Old City and was called the “Lower City” since the late-Israelite era. To the southeast is the city’s earliest known water source, Gihon Spring, which brought water uphill (under natural pressure) into the fortified walls of The Lower City, then later into the Old City, via a well-hidden and formerly guarded tunnel (which is typical of many Israelite and other Canaanite cities). 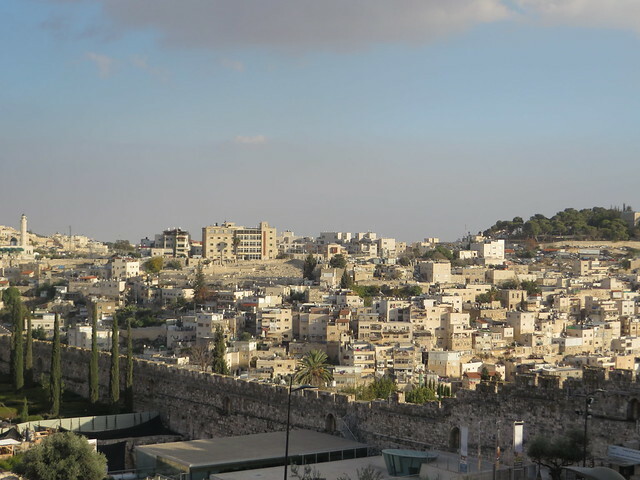 To the east of the Jewish Quarter is the Mount of Olives, notable for its 3000 year-old Jewish burial ground and several Christian churches, where the New Testament says Jesus often made sermons. The Muslim Quarter is in the northeast of the Old City and is where most of the city’s mosques are. 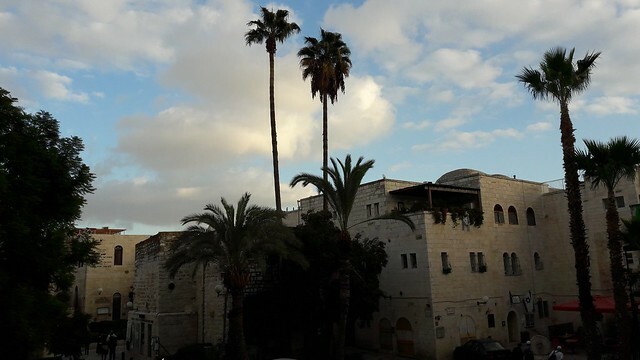 Despite its name, there are several Christian landmarks such as Ecce Homo and half of the Via Dolorosa in The Muslim Quater, and it is Old City’s largest quarter. 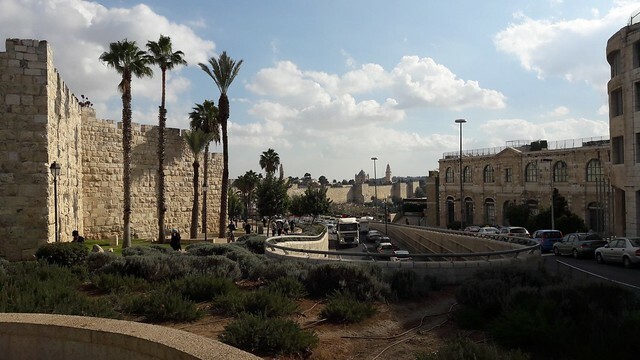 It has been within Jerusalem’s City Walls only since circa 20 CE, the Romanized-Jewish (Herodian) era, and the area next to Damascus Gate contains a giant 10,000m2 cave that was used to quarry stones since at least the Second Temple era (after 530 BCE). Also within the Muslim Quarter are The Bethesda Pools, built between 800 and 200 BCE. The Old City of Jerusalem is still inhabited even today, it’s not just a monument or a big open air museum. People come here for religious purposes mainly, but the Old City is a living proof of a mixed and complex culture that has developed and extended over so many centuries. You don’t have to believe in any God, to be overwhelmed about the Old City of Jerusalem and its importance. Think about culture, about traditions and customs, about spirituality, about civilization and you will find them all here, in between the walls of this amazing Old City. 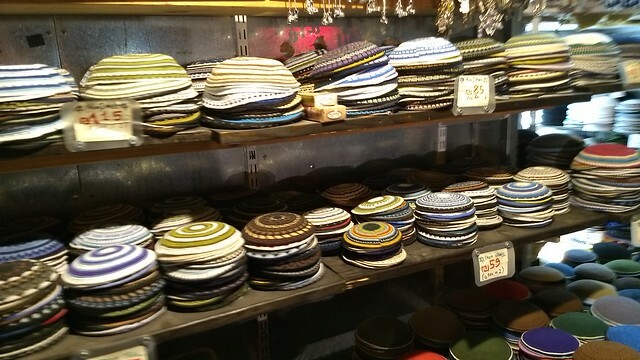 Mahane Yehuda Market and the area around it mesmerized us from the very first time we got there. 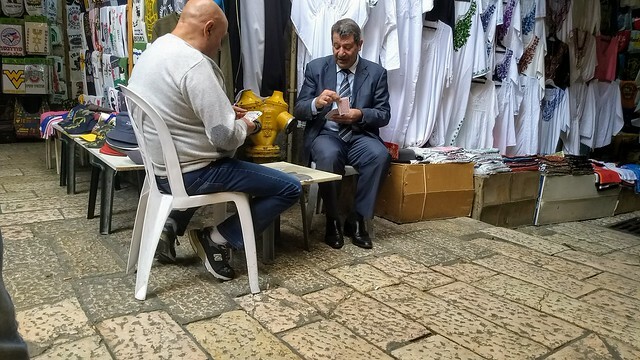 It”s a vibrant place that illustrates perfectly the day by day life of the people living in Jerusalem. 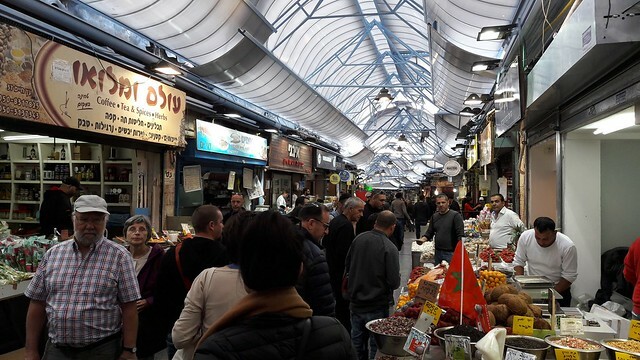 Mahane Yehuda is mainly a food market, but prepare to find everything from fresh fruits and vegetables to fresh meat, pastry products, fish, nuts and spices, good tea and coffee, freshly squeezed pomegranate juice, small family restaurants and cool small bars. The interesting thing about this market is that in the evening after the shops close, they turn into small restaurants or bars that are open until late in the night. Except Friday night, when due to the Sabbath, the market is closed. We enjoyed so much spending time in this market. It’s so full of color, life and energy and you’re elbow to elbow to all the locals, but tourists as well. During the preparation of this trip, we spent quite a lot of time searching for great places to eat out. And Jerusalem got our attention, especially knowing that we would spend more time here. We had a very long list of places to check out for food and drinks, but here’s what we managed to try out and enjoyed a lot. For us this was THE Restaurant. If you’re in search of delicious local, middle-east food, this is where to go. 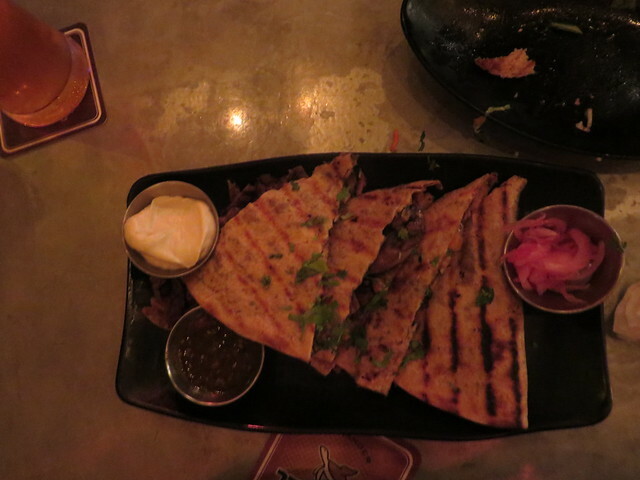 Everything in the menu is soooo delicious, from vegan and vegetarian dishes to the meat ones. 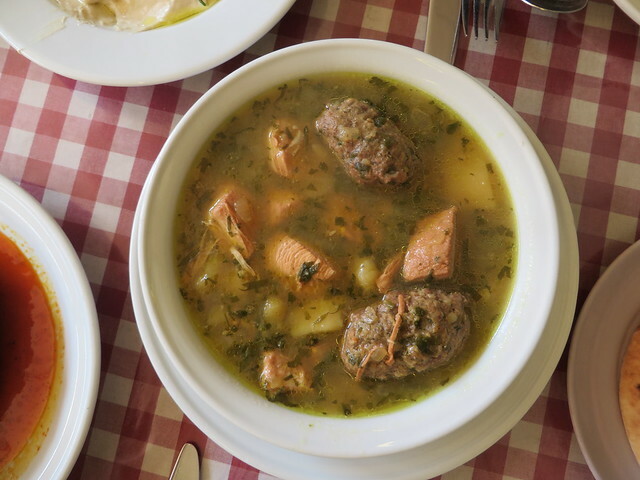 Try first the soups, you will be amazed by what they have on the menu. From sweet, to sour and spicy, they have them all. The hummus is also great and has to be tasted, but also check out the beef sofrito or the baked eggplant stuffed with spicy minced meat. We liked this place and the food here so much, that we went there two times. They are open only until 4PM so plan to go there for lunch. If you’re in search of a meat feast, this is the right place to go. 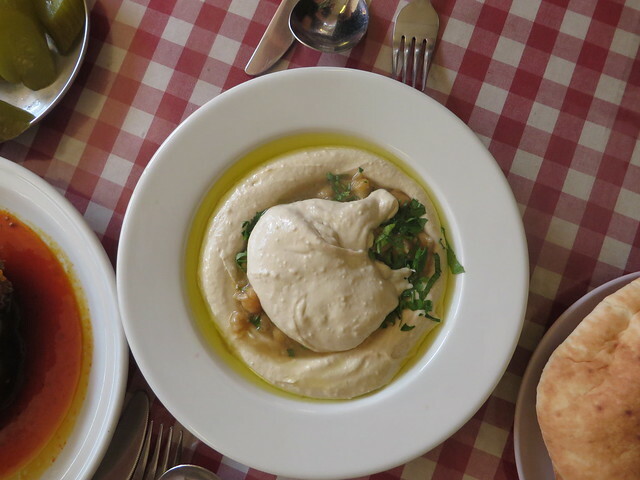 Morris is a small family restaurant right in the Mahane Yehuda Market. Expect all sorts of skewers, steaks (the lamb especially is very tasty), duck liver, bull testicles (must try!) or Moroccan sausages. All seasoned with all sorts of salads, spicy sauces and delicious hummus. Don’t get fooled by the way this place looks, it’s a perfect example of the saying: Looks can be deceiving. A rather new place in the area of the Mahane Yehuda Market, this is the place to satisfy all your craves. A mixture of recipes from all over the world, you will lick your fingers at every bite. Try also the local craft beers they have on tap, to complement the menu. If you’re in search of authentic, tasty craft beer, than this is the best place to go. 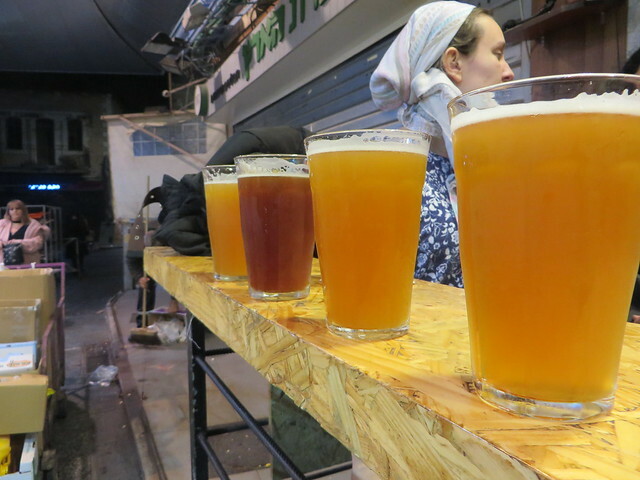 You will find here a great selection of bottled and on tap beer from all over Israel, but also Palestine and the rest of the world. 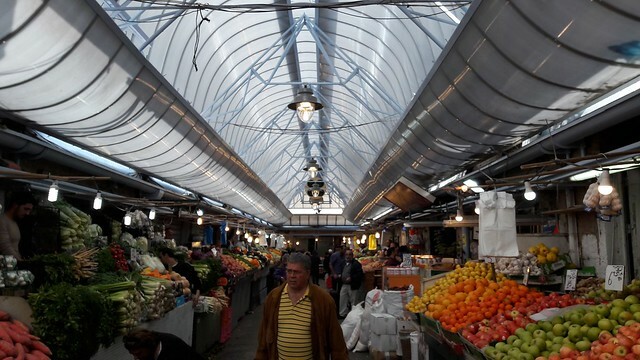 It’s a hidden gem of Mahane Yehuda Market and one of the places that brings this market to life during the night. This is a really cool place to go for a drink in Jerusalem. A small place, with great music and really cool people. 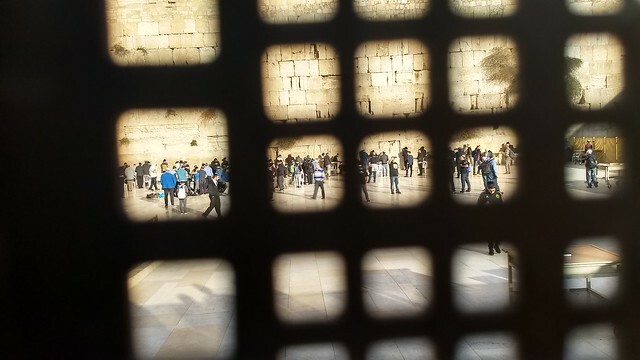 If you get to Jerusalem during the Sabbath, don’t forget that some places are normally closed starting Friday afternoon until Saturday evening. The Mahane Yehuda Market area is closed completely, most of the shops are closed. 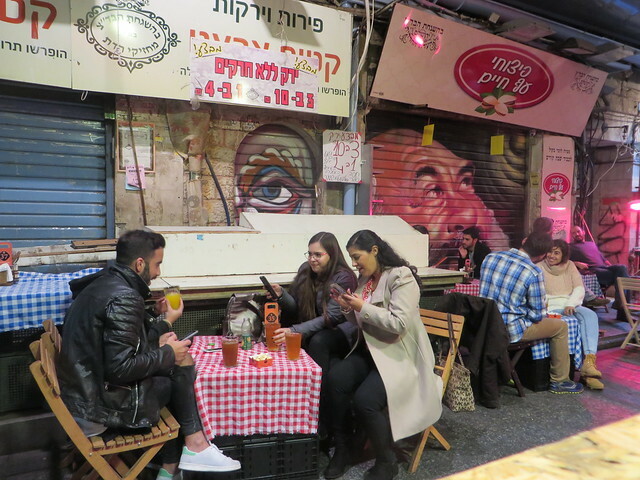 Try the modern part of the town for food and drinks during Sabbath: Nachalat Shiva street, Ben Yehuda Street or Shamay Street. This was our visit in Jerusalem. A bit short, but quite intense. Jerusalem is a place where you see so many new things every step you take, from culture, to history, to way of living, to food. And it takes time to absorb all these new experiences and to try to understand their meaning.